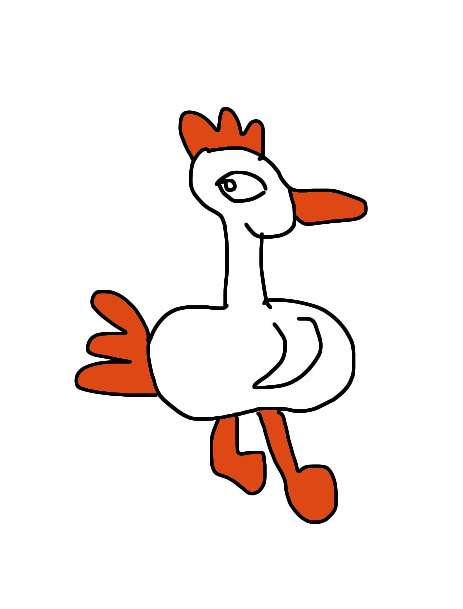 Rosie the hen sets off for a walk around the farmyard, closely followed by an accident-prone fox. Rosie seems unconcerned and we are left to wonder if she knows the danger she’s in or is cleverly leading the fox into trouble. 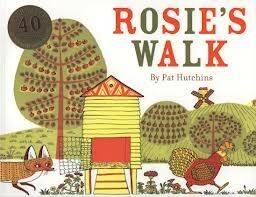 Rosie’s Walk is a perfect book to help young readers learn to read. The distinctive illustrations help children to predict what happens next in the story. Spend time looking and talking about the cover and the illustration on the title page, asking “What do you think the fox is thinking?” or saying, “I wonder where the hen is going”. This double page is a picturemap of the farmyard, showing all the places Rosie walks to in the story. You can talk together about the farm, naming the different landmarks. Read the story aloud, talking together about the pictures as you do. Encourage children to guess what’s going to happen next. Turn the page to see if their predictions were right. Talking about the book deepens children’s enjoyment and understanding of the story. Read the story again and leave spaces for children to join in with the story. They can add their own responses to the dramatic events. After hearing the story a few times, children will get to know it well. Encourage them tell it to you in their own words, with some words or phrases from the story, using the pictures to help them. 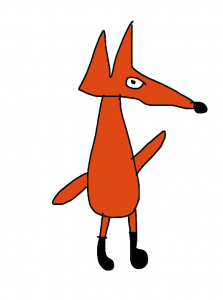 Children can use animal toys for the fox and hen to act out the story. It’s a really good way for them to get to know the story well and helps to build their confidence with books. On a large sheet of paper, using pencils or pens in similar colours to the book, children can draw the farmyard as a storymap. They can look at the pictures in the book to help them but not copy them. Using small toys as Rosie and the fox, children can tell the story in their own words. To begin, you could start moving the hen around the farmyard and telling Rosie’s story, with children moving the fox toy to tell the fox’s story. Use boxes, cushions and blankets and any other suitable props to create the world of the farmyard to go on a walk, going across, around, over, past, through, and under. Children can tell the story as they go on their journey. They might like to make up their own story about going for a walk in a different place, such as a forest or a house. Using paper or card, make a flap-book to show favourite parts of the story and the unwelcome surprises for the fox.